You are here: Home » Mac: Power Users » High Performance, Low Cost Supercomputer At Virginia Tech is a Mac! High Performance, Low Cost Supercomputer At Virginia Tech is a Mac! “I can use my [Mac] to check emails and at the same time connect to the supercomputer.” Srinidhi Varadarajan, PhD. Virginia Tech’s record breaking supercomputer, known as System X, SystemX, Big Mac, or Terascale Cluster, is originally made from Apple Macintosh computers in 2003. In 2004 System X was upgraded to Apple xServes 1U servers. In 2008, another supercomputing cluster of Macs was built at Virginia Tech. Q: How do you create a world class supercomputer that satisfies the following requirements? Virginia Tech Advanced Research Computing, Center for High-End Computing System (CHECS), formerly Terascale Computing, shows you how to achieve world class performance on a budget. 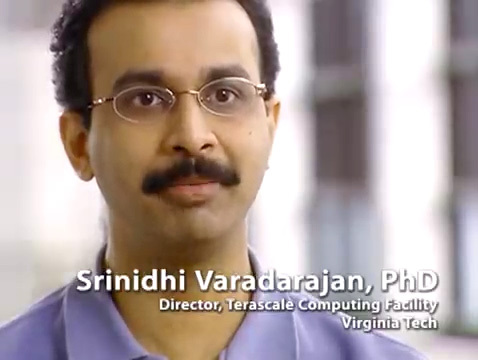 For Srinidhi Varadarajan, PhD, Director of Terascale Computing Facility at Virginia Tech, it was an obvious choice in the Fall of 2003 after a through research of high performance computer systems. Srinidhi Varadarajan, who never owned a Mac before then, decided on building a Mac cluster instead of going with conventional systems designed by companies such as Cray, IBM, and Hewlett-Packard. Supercomputers from the conventional companies require long development time, measured in years, plus high cost in the range of tens or hundreds of millions of dollars. Fortunately Virginia Tech exercised due diligence, because the PhDs realized Apple computers (Macs) are quite different, in a good way. Apple’s server grade architecture is great for high performance computing. In addition, with Apple Mac computer they actually have no need to learn a new programming language, as Mac OS X is UNIX based, highly efficient, and highly scalable. 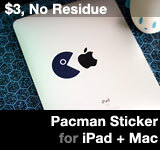 The best of all, Macs can be quickly put together, under their allocated budget. 1,100 Apple Power Mac G5 computers were ordered, and System X was born. It’s also the least expensive system to reach 10 Teraflops in its day. The whole supercomputer project was implemented in 3 months, with hardware assembled in 3 weeks. Compared to similar projects, building the Mac cluster took no time at all. 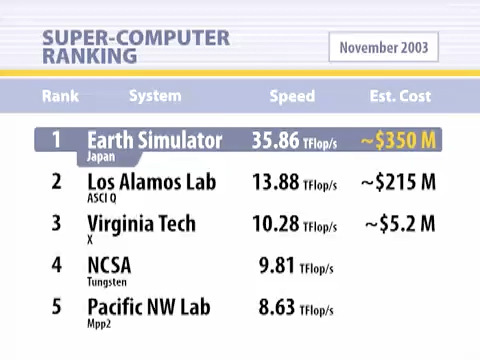 The cost of the Virginia Tech System X supercomputer was an order of magnitude lower than the other supercomputers around the world. Costing only $5 million dollars, instead of tens or often hundreds of millions of dollars. They have additional surprises with their Mac super computer as well. Virginia Tech’s Mac cluster was more powerful than expected. VT System X was originally ranked 4th in the world but further testing revealed it to world’s 3rd fastest supercomputer at the time. For over 3 years, Virginia Tech’s System X is the most powerful system categorized by TOP500 as “self made” at any university. The innovations Varadarajan and the VT team developed to solved the important challenges of supercomputer clustering was released under open source license. That industry pioneering knowledge created by the Virginia Tech Mac supercomputer team has lead to advances in the high performance computing industry since then. Clustering is now made much easier because of the VT System X.
Virginia Tech built another supercomputing cluster using Apple Macs in 2008. If System X were updated, it would be within the top ten supercomputer, again at a fraction of the cost of others. Fortunately no half baked corporate IT drones could have prevented this project from happening with their uninformed fear, uncertainty and doubt tactic (FUD still has a hold on the regular computer users though). PhDs are smarter than that. Even today, if you actually spent the amount spent on building the fastest supercomputer, and built a Mac / OS X super computer instead, you’ll likely to have the fastest supercomputer in the world without the years of delay typically involved in building a supercomputer. This entry was posted on Tuesday, August 25th, 2009 at 8:05 am	and is filed under Mac: Power Users. You can follow any responses to this entry through the RSS 2.0 feed.